Kenny D’Aquila was smart when he was putting together the debut production of his play Unorganized Crime. 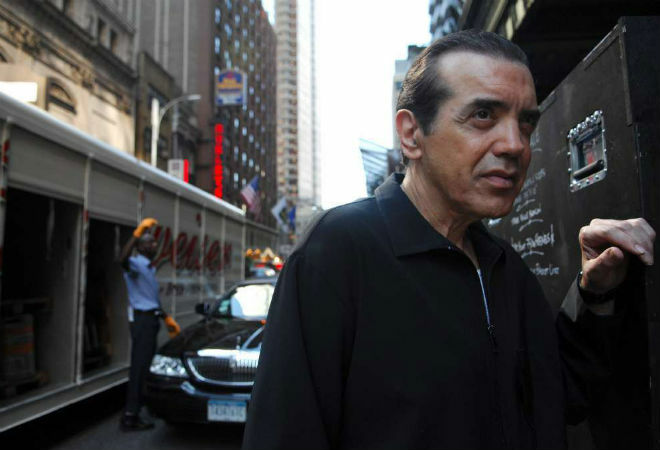 He brought in fellow playwright and actor, Chazz Palminteri, to play one of the lead roles and produce the show. Palminteri’s one-man play A Bronx Tale, which premiered in Los Angeles in 1990, was subsequently made into a feature film by Robert De Niro. Will lightning strike twice. In the play, Palminteri plays Sal, the eldest son of a crime family boss. He suddenly appears in Detroit where his brother Gino (D’Aquila) and his girlfriend Rosie (Elizabeth Rodriguez) are living in exile from the family. Sal has arrived to pass along family news and to see if there’s a way to restore Gino’s position in the family.